R Pools LLC is your complete solution for pool and spa services for customers in Spring, The Woodlands and other surrounding areas. We specialize in weekly pool cleaning services to make sure that your pool is crystal clear, offering a range of cleaning packages to fit your budget. In addition, we also offer professional services including equipment repairs and installation and remodels and renovations to build your dream pool. R Pools is known for keeping all types and sizes of pools, whether commercial or residential, clear and sparkling all year round. Our goal is to keep your responsibility as a pool owner simple: all you need to do is come home and swim. We are detail-oriented technicians with a knack for service, honesty, quality, and consistency. We show up when we say we will, and consistently give your swimming pool the attention that it needs to stay pristine and clear. Our experienced technicians pay attention to all the details of whatever your pool needs, whether it’s basic maintenance or complicated repair work. And perhaps the most important part of our service is our personalized care. We may be a company with large-scale capabilities, but our customers enjoy our friendly, individualized attention the most. R Pools specializes in weekly pool cleaning to make sure your pool is in tip-top shape year-round. 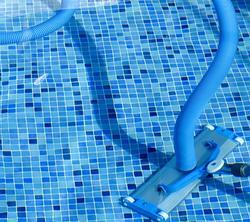 At R Pools, we offer a variety of pool cleaning packages to fit your budget. 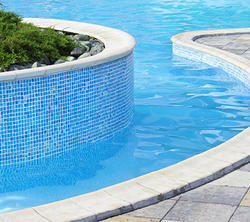 At R Pools, we are dedicated to identifying potential issues before they become problems that effect the entire pool. At R Pools LLC, we specialize in residential pool maintenance. In our residential program, we visit once per week. 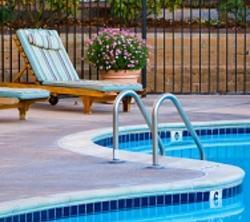 In our commercial programs, we visit 2 to 3 times per week, depending on the size and the usage of your pool. We also offer pool remodels & renovations. We service residential swimming pools Monday through Saturday. TICL-AC-299 | © 2015 - 2019 R Pools LLC, All Rights Reserved.